‘Particularly striking is the new model Invicta,’ enthused The Autocar in October 1930, the month after the S Type appeared, and the reviewer went on: ‘…principally because, being designed as a sports model it has been built very low’. Indeed it had, with a new, rigid chassis that was underslung at the rear and swept up over the front axle. Power came from a 4½-litre six-cylinder specially built for Invicta by Meadows of Wolverhampton. This was one of a handful of cars then on the British market capable of 100mph, and it was one of the fastest and most desirable sports cars of its day. Its styling is the traditional British sports car at its best, with rakish lines, swooping curved wings and external exhaust pipes and a low profile. 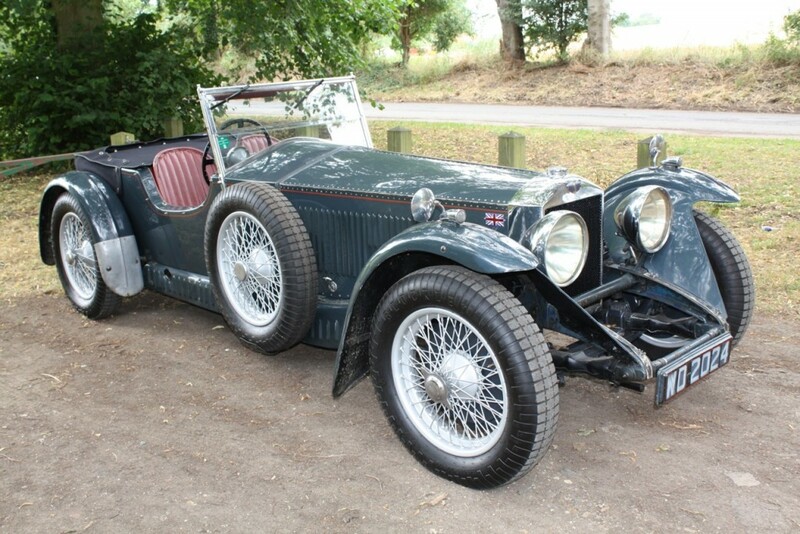 In all, 77 were built and the splendid car presented here is one of only a dozen to have bodywork by Vanden Plas. This one is the same as the S Type shown on the maker’s stand at the 1930 London Motor Show. First registered in March 1931 (the year Donald Healey’s S Type won the Monte Carlo Rally), it was sold by a Birmingham dealer. The name of its owner from 1940-42 is ‘Sub-Lieutenant T Thistlewaite’ – possibly racing driver and former Bentley Boy, Thomas ‘Scrap’ Thistlethwaite. The next owner enjoyed it for only two months because, having murdered his wife, he needed to leave England in a hurry, and so he sold it to car collector George Milligen for £175 . Repainted in Milligen’s favourite shade of RAF Blue, the Invicta stayed with him for 60 years and 50,000 miles, including trips to his favourite winter retreat in the South of France. It received the meticulous maintenance he lavished on all his cars and is today one of the finest examples of this classic English roadster.